Son Tumba'o in the play! Concurrently, a small band had emerged in the late 90's under the name of Son Tumba'o. Having met almost instant success, the small band became a sought after, hand-crafted, boutique band for the upper social events of the Houston scene. This small band had made it's name by breaking the barriers in some of the most sought after venues in the Woodland's, West Houston, and River Oaks. This boutique band would officially change its name to Houston Salsa Band in 2002. In the mid 90's a well known singer named Aldo Rosso from the Dominican Republic started a well balanced and talented band called Kandente. He continued to make his name and brand across the Houston community as one of the best Latin bands in the area. Having played all the local venues and mesmerizing the crowds with his sweet and smooth voice Aldo continued into the 2000's as an undisputed champion of the Latin scene playing some of the best venues like Elvias, Tropicana, The Sky Bar and higher end hotels like the Westin and Hilton Americas. After meeting at an audition, Emmanuel Gonzalez, owner of Son Tumba'o, and Aldo Rosso, owner of Kandente, these two rising stars would soon become best friends and business partners. Emmanuel demonstrated a craft for marketing and business acumen, while Aldo contributed his music talent to the ever evolving synergy between these two stars. Emmanuel would soon adopt the name Houston Salsa Band as the official name of the band, while Aldo continued to work his project, Kandente. Aldo recorded 3 CDs, which have brought him much success. Emmanuel, under the Son Tumba'o brand, recorded 2 CDs and went on to make a name for the newly established Houston Salsa Band. Now these two Houston natives are unstoppable. 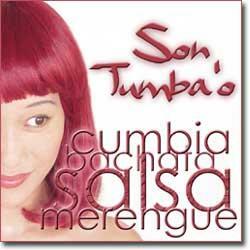 Houston Salsa Band is a brand, a musical talent that dominates the Latin scene.